Hello people of the internet!!! On today’s ‘Monday Memos’ we are going to talk about a story that I read about yesterday, and it really touched my heart. As a society we have a certain idea of what a single parent is however, more and more we have a lot of single fathers who have to raise daughter’s. It’s extremely hard for a parent to raise a child of the opposite gender because that parent can’t always anticipate what their child will encounter when they’re around other children of their gender. To make it a little simpler, how does a woman raise a boy to be a man, and how does a man raise a girl to be a woman. Although it’s not impossible and millions of people do it everyday, you can see how things can get difficult right? Well luckily there are people in the world like Philippe Morgese, who are doing what they can to make a difficult situation, just a little more bearable. Check out the rest of the story below to see how Philippe is making a HUGE difference in the lives of many families! Ready? Ok, let’s go!!! Philippe is a single father who has raised his daughter Emma alone, from the age of 1. Philippe said in an interview with Buzzfeed.com that when Emma began to get older, he wanted to be able to properly style her hair, so he taught himself how to make cool braids and other different styles (which you can see in the picture above). Philippe said that he started getting a lot of compliments and questions from other single fathers about how to replicate these looks. So Philippe asked a local beauty school called International Academy if he could rent one of their rooms for free so he could teach other fathers how to style their daughter’s hair. The school agreed and Philippe and Emma held a class (which was free of course) for 7 fathers, and even gave each father a bag of hair “goodies” to take home (which you can check out in the picture below). 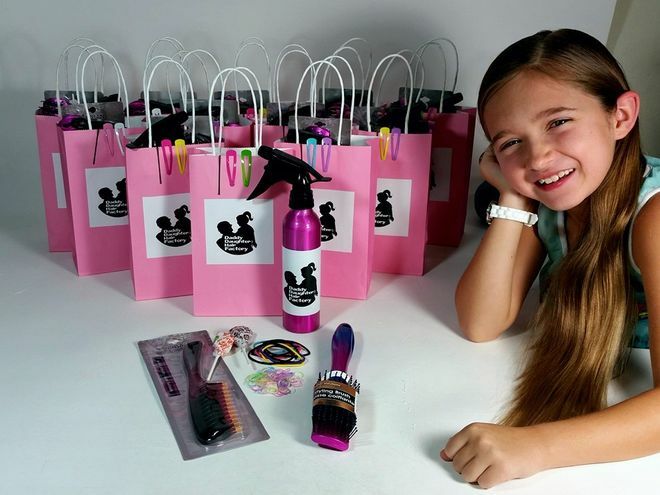 Philippe now has a Facebook set up for his class (which is called Daddy Daughter Hair Factory), and wants to continue to hold classes for any fathers who are interested. His pictures have had a HUGE response on various social media sites, and will definitely continue to amaze us. I think that this is such an important story to share because we live in a world were we always hear about all of the evils of our society. So it’s nice to see a father who is willing to use his time and skills to help other fathers who struggle with trying to be a mother & a father to their children. Hopefully stories like this will remind us that little actions can really change lives. All credit goes to buzzfeed.com, Facebook, Philippe Morgese, Daddy Daughter Hair Factory, International Academy, all of the businesses, companies, people, stores, and any other original owners involved and/or mentioned in any of these videos, any and all companies, individuals, and/or businesses that should receive credit for anything mentioned in this blog post, and all original owners. I do not own anything in this blog. If any people, corporations, businesses, companies, etc, were not previously given credit for their work, they are given credit now and their previous absence was unintentional. All opinions expressed in this blog are my own. I wrote this blog for entertainment purposes and no copyright infringement is intended. celindareyesblog October 12, 2015 1 Comment on Monday Memos: Philippe Morgese…father, hair stylist, superhero. Category: Monday Memos. 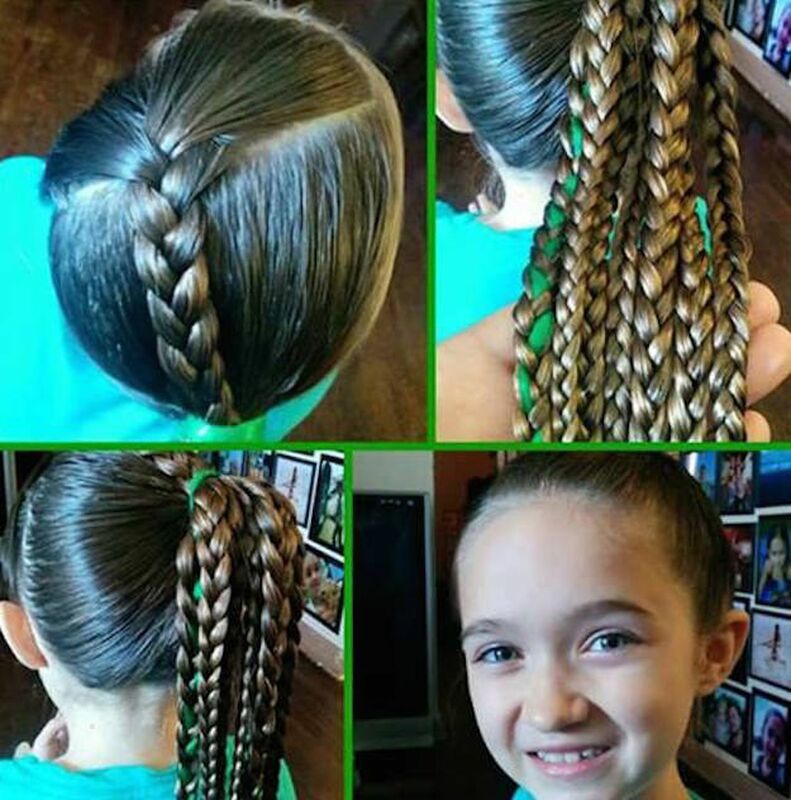 Tagged: braids, buzzfeed, class, dad, Daddy Daughter Hair Factory, daughter, fashion, father, featured, hair, heartwarming, International Academy, new, parent, single, style.